Our A9 box shelf is made to fit perfectly over a kitchen counter. 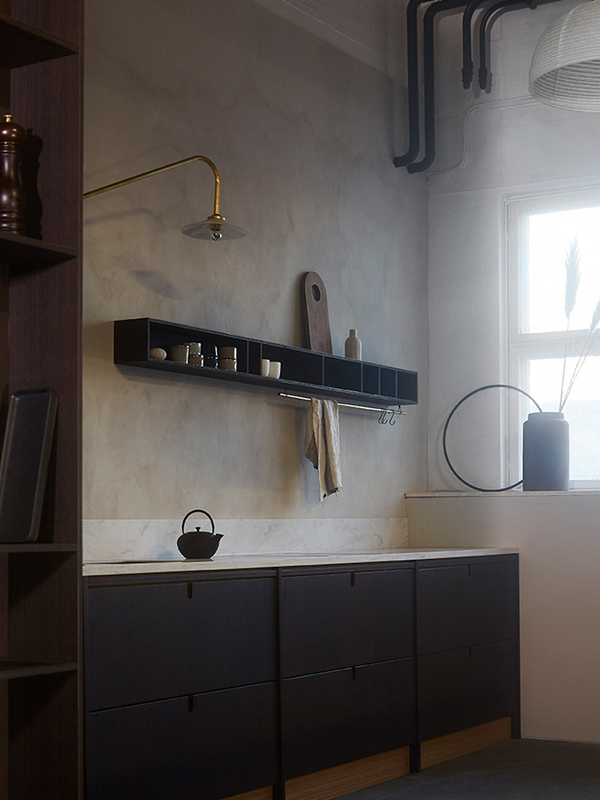 It is a modern interpretation of the wall-mounted cabinets, with sectioned spaces, giving place to your favourite cups and glassware, all in arms reach. 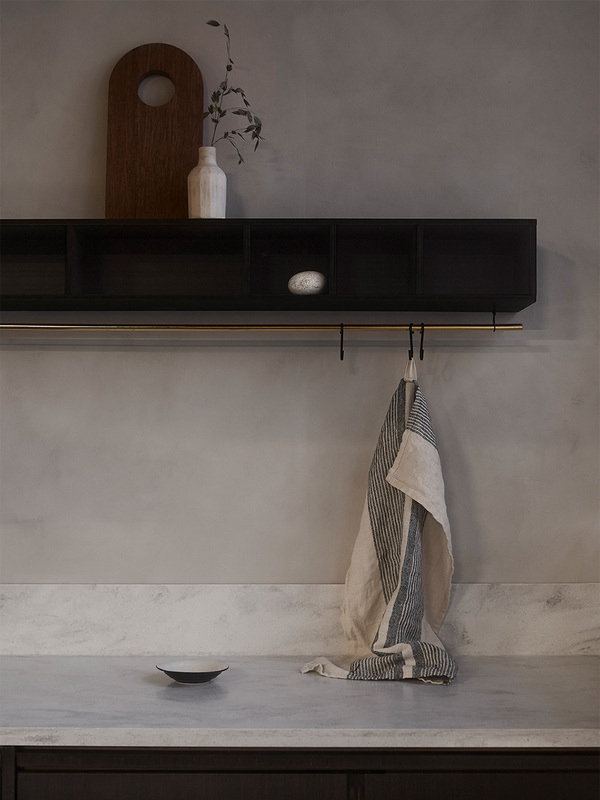 The shelf is handmade in Norway and can be made in custom sizes on request.